Accommodation affiliated with Sciacchetrail and local tourist associations where you can find information and tips for planning your stay in the Cinque Terre. in the ancient rural house of “Baranin” …a small Bed and Breakfast with pleasant renovated living spaces in an informal setting. Rooms with private bath, also with sea views and air conditioning, apartaments with kitchen; free wi-fi in common areas and in most units. Opened in the late 1970’s in a renovated fisherman’s house on the sea, and then expanded in 2003, Hotel Marina Piccola has long been a landmark of Cinque Terre hospitality. Furnished with classic style and elegance, the 13 rooms of the hotel are bright and tranquil and some have panoramic sea views. Hotel Luna di Marzo is located in Volastra in a panoramic position overlooking the sea, in the heart of the Cinque Terre National Park, a UNESCO World Heritage Site. With its ten rooms overlooking Manarola, it is surrounded by terraced fields, olive trees and vineyards. 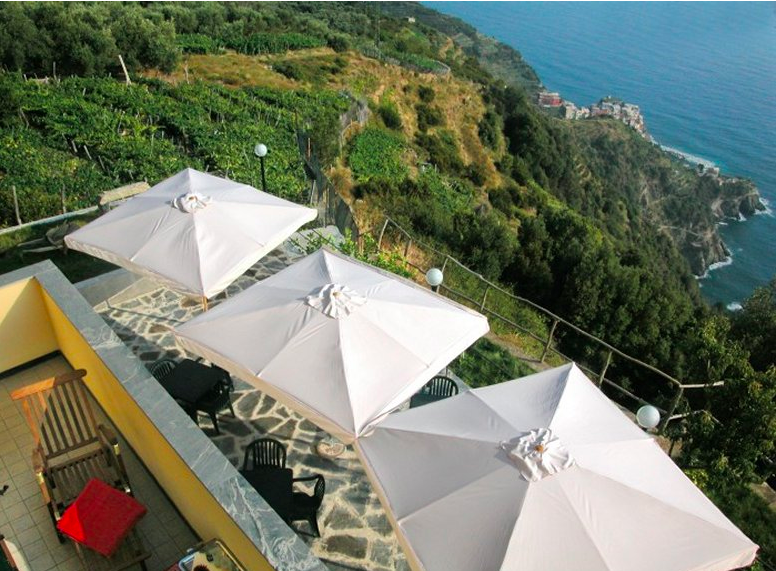 The hotel offers its guests panoramic views of the Cinque Terre. 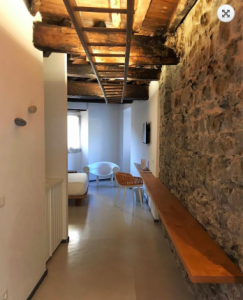 Carugiu B&B, situated in a tower-style house owned for generations by the Bordoni family, gets its name from the typical narrow ligurian street on which it is located, in the enchanting village of Manarola. Open since 2004, Carugiu B&B is run by locals Isabella and Paolo Bordoni. 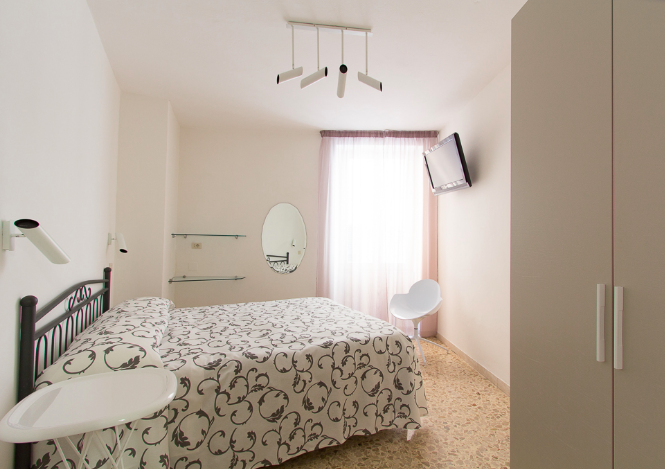 As a guest in their home, your stay will be a genuine and authentic “Italian experience”. 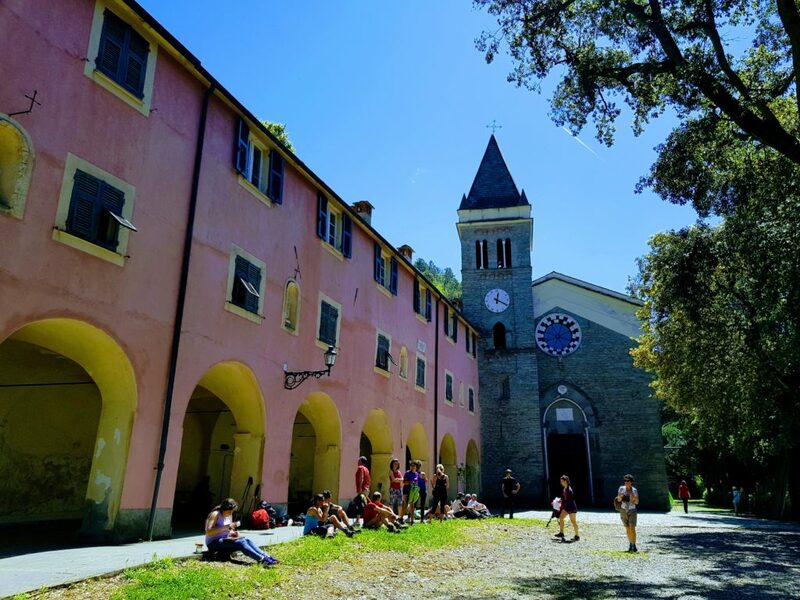 Surrounding the Sanctuary of Our Lady of Soviore, immersed in greenery 7 km from the village of Monterosso is a large complex, dedicated to hospitality. With more than 100 beds, Soviore offers various accommodation solutions: there are in fact both a hospitality house and a hostel ideal for groups, schools and families. The flagship of Soviore is the typical Restaurant that overlooks the large panoramic plaza. At the intersection of several Cinque Terre trails, it is a natural rest stop for hikers offering visitors a peaceful and spiritual oasis with unparalleled panoramas: from Monterosso to the valley of Levanto and, on clear days, from Corsica to Monviso and the Maritime Alps. 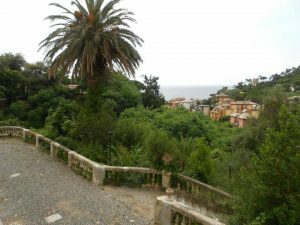 Easy to reach by car, bus, or motorcycle, also from the nearby villages of Monterosso, Pignone and Levanto, Soviore has ample free parking and is about a 40 minute drive from La Spezia. Hotel Villa Adriana is located in the new part of Monterosso, just a few steps from the sea, from Fegina Beach and from the statue of the Giant. It can be reached directly by car and has private parking attached. The train station is just 500 meters away, and the trailhead for Levanto is nearby. The Hotel is immersed in a large garden of palms and pines, an oasis of peace and tranquility. The outdoor pool with solarium offers a relaxing corner in any season. Our chapel, a place of peace and contemplation, is available to our guests for spiritual recollection. The Hotel offers its guests bed and breakfast, half board (breakfast and dinner) and other options for eating at the hotel restaurant.